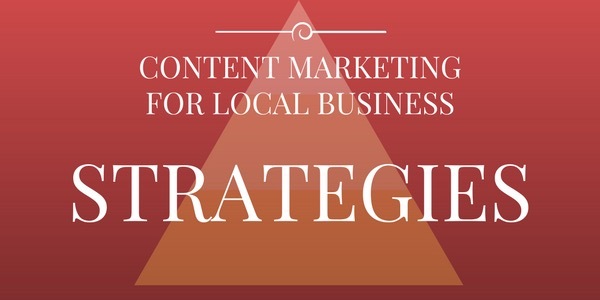 Is content marketing the right approach if you’re a local business? After all, social media and other content platforms are international. What if you’re trying to reach a purely local audience? 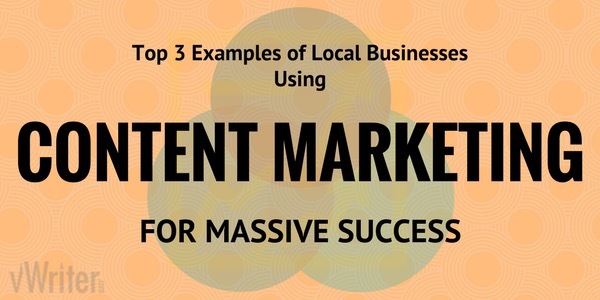 Of course, content marketing for local business can be very powerful. In fact, as I’ll show you, it’s all but essential. But you do need to approach it in the right way. Unfortunately, many local businesses create very little, if any, content of interest to the audience they want to attract. At most, they may simply blast out self-serving promotional messages through social media. This tends to alienate rather than attract their market. A smaller number get it right. When they do, they can go on to achieve massive success (see examples below). So how do you approach it correctly? 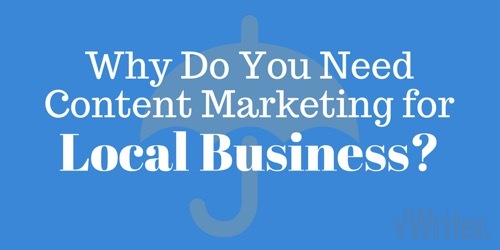 Why Do You Need Content Marketing for Local Business? 97% of consumers go online to research local products and services (BIA/Kelsey). In other words, if your content isn’t in front of these local shoppers and influencing their purchasing decisions, you’re losing business. By following a clear content marketing strategy, your content can start appearing for all kinds of local searches, and across multiple content platforms for your local audience. Sure, major content platforms might have international reach. That doesn’t mean you can’t create a presence – and develop an audience – on them, that’s local to your own area and is beneficial to you. One of the keys for a successful content marketing strategy is to know your audience. As a local business, you have a distinct advantage over other businesses pursuing content marketing. You know them personally. You see the type of people who frequent your local business every day. You probably know their names, their back stories, their interests, their likes and dislikes. With all this information, it can be a lot easier for local businesses to create the buyer persona who you can then target content for. What types of questions pop up frequently? What’s frequently misunderstood about your business and the products or services you sell? What would be helpful to them for you to clarify? What information could you provide that would enable them to take better advantage of what you sell? What stories do you frequently tell your customers? The answers you provide tell you exactly the type of content you can start creating. Use them to feed into your content calendar. Finally, you’ll have a good idea as to what’s currently attracting customers through your doors. How can this be further developed and utilized within your content strategy? Word of mouth referrals—could you encourage more of this activity through a social media campaign or competition? Advertising in a local publication—could you publish articles in the same or similar publication? Review websites (see #4 in the Content Marketing for Local Business – Strategies section below)—how could you encourage more such reviews? The story of how a local real estate company became an industry leader. Kinleigh Folkard & Hayward is a real estate company based in London. When the property market crashed in 2008-2009, they knew they had to do something different to survive. So they turned to content marketing. In 2009, they launched the first edition of a new magazine, Completely London, as part of a “strategy to differentiate [themselves] in the London property market where there is a lot of competition” (mynewsdesk.com). It became very successful, attracted a lot of positive feedback from readers, and won a number of awards. But how did it actually help their business? Feeding into a blogging and social media strategy. This involved repurposing some of the content from the magazine, attracting quality traffic to their website and leads for their business, both of which increased month on month. The story of how a local yoga studio became the largest yoga chain in the USA. Trevor Tice opened his first CorePower Yoga studio in Denver, Colorado in 2002. The company rapidly grew into a national chain, with sales of $6.5 million within 5 years. In 2014, it received investment from a private equity firm of over $100 million. It currently has over 150 studios across the USA. How did this once-local business achieve such meteoric success? They build relationships and engage their audience through social networks. For example, it hosted online conversations using the hashtag #HelpfulYogi, building their authority and reputation. They have a regularly published blog. The content from this is then shared across social media channels such as Twitter and Facebook. Don’t forget video. They share videos of yoga sessions and tutorials to help spread the word. The story of how one woman went from a local ice cream store to becoming one of the fastest growing ice cream brands. In 1996, Jeni Britton Bauer dropped out of art studies and opened her first store, Scream Ice Creams in Columbus. This became simply Jeni’s in 2002. 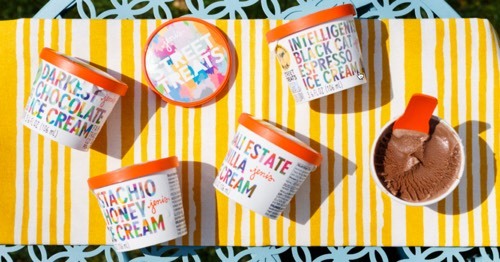 By 2017, the company has 31 scoop shops, the ice cream is sold in high-end groceries and markets across the US, plus you can buy it online for delivery straight to your door. What lies behind her success? Of course, it’s partly the delicious ice cream she creates. But it’s also thanks to content marketing. Thanks to the book, Jeni appeared on local and national TV to talk about her artisan ice creams. Demand grew, and transformed her local business into a national brand. It’s easy to assume that people searching for a business like yours will be using localized keywords, e.g. [your town] restaurant. Some will – but the majority in fact don’t. More on this below. First, let’s assume you’ve already got the basics covered and are registered with Google My Business. The next step involves doing some local keyword research to discover what people are searching for in your area that’s relevant to your business. You’ll notice the vast majority, if not all, of the results contain no location reference in the keywords. 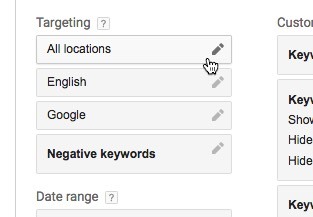 Because Google delivers localized results for their users, many simply use keywords like restaurant near me. Or just plain restaurant, family restaurant, restaurant good food, and so on, expecting an appropriate localized result to be delivered. Only a proportion use the [your town] restaurant type format. To illustrate this, I ran some tests on a few obvious keywords for local businesses, both with and without location references in the keyword. The results reflect my local area, York, in England. Of course, these localized keywords may also include local-specific references, not just the place name. For example, they could include the name of a local supplier. 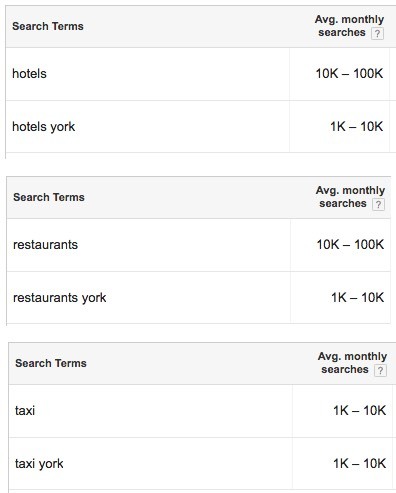 Your keyword research will give you a good feel for what your local community are searching for in relation to your product or service. What content could you create to serve these local needs? 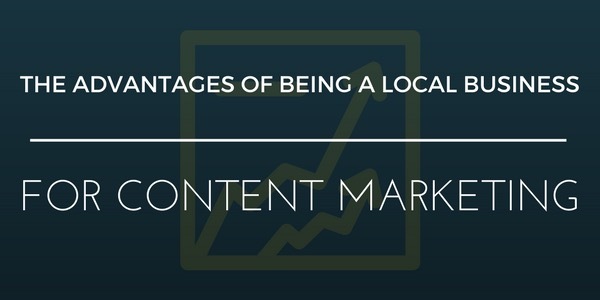 Localize the content so the relevance for your local community is clear. In other words, don’t create content for the rest of the web. Make it very local specific so it really speaks to your audience. For blog content, include local references in the search engine snippet using the SEO plugin, Yoast (see review). This increases click-throughs from local searchers, boosting your local SEO. 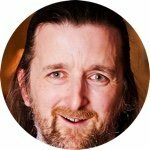 Use the Yoast WordPress plugin to edit the meta description. This shows for your web page in the SERPs, and can increase click-throughs from local searchers. With an increasing amount of content that’s relevant to the local area you serve, your site as a whole will become increasingly dominant on local search for a wide range of keywords. Remember too that not all the content you create is solely for SEO purposes. Create content that’s primarily designed to be engaging for your audience. Search traffic will follow as a natural consequence. An easy way to create content for your business is to engage with your community. This often involves others creating content on your behalf, such as the local press. Use your community involvement as the basis of content that you post to social media and on your blog. Such content engages your local audience, as well as anchors you to your community. For example, put a team together for the local 5k run, raising funds for a local charity. Publicise your involvement through social media. Profile those in the team taking part. Invite the press for a photo opportunity where you’re handing the money raised to the charity concerned. 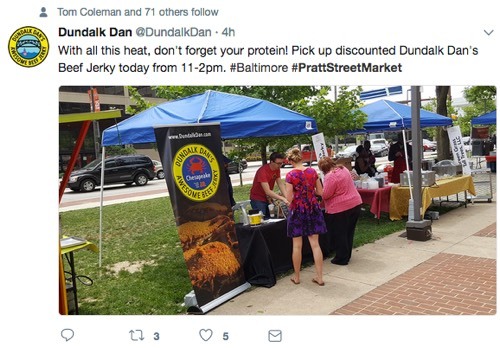 Pay attention to any localized hashtags. How can you get involved in and contribute to the conversation? What local hashtags could you instigate and invite local participation in? Could you offer expertise via a local hashtag on a particular topic of relevance to your community? Think about collaborating with other local businesses. These might not be directly competing businesses, but could be businesses that complement your own. For example, you might run a local hairdressers. 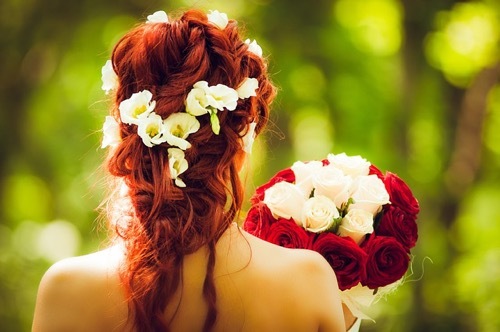 Think about people using your services when getting married or otherwise attending a wedding. Complementary businesses might include nail, tanning and beauty salons, florists, suit hire companies and photographers. Content could be created around a wedding you provided services for, and feature other local companies that were involved. In return, all the companies mentioned could feature the content through their own social channels. You could offer the wedding party a discount in return for their involvement—though they would probably love the special feature and extra attention it would bring to their day. Finally, find local bloggers and introduce yourself, your business and your site. Perhaps they would be willing to experience your product or service, and write a review about it? Social media channels are a very important vehicle through which you can strike up conversations and engage with your customers. Doing so creates a loyal customer base who will use your services because of that sense of personal connection with you. When you post, do so with a clear sense of connection with your local area. Mellow Johnny’s is a cycling hub in Austin, Texas, and does this well, with localized updates on Twitter and Facebook. When fans and followers do leave questions and comments, be sure to respond in a timely manner. It’s little different to returning a phone call. 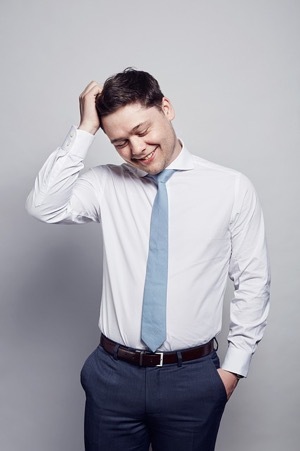 Many businesses utilize social in the wrong way, purely posting promotional content with no sense of connection with their audience. Of course it’s fine to let your audience know about specials, offers, new product lines and so on. But only in the context of a relationship you’ve already built with them, and additional value you’re offering. Some advisors will state a specific ratio you need to adhere to, for example, a maximum of 20% promotional content. But there’s no specific rule. It depends on the nature of your business, your audience, your culture and so on. 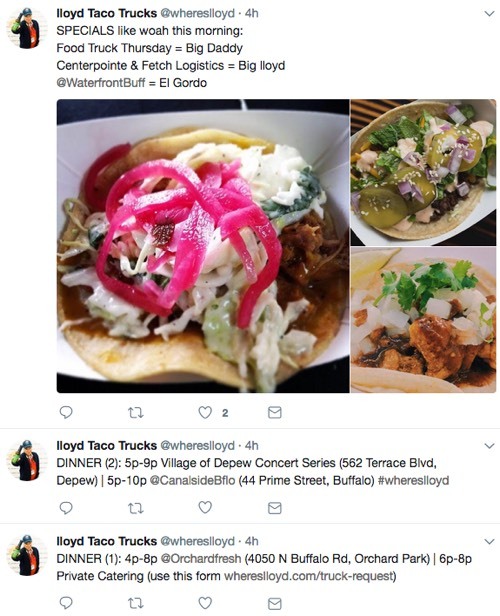 For example, Lloyd Taco Trucks serves up hot food from a truck. They use social media to inform their followers where the truck’s going to be, along with enticing pictures of the food they serve. With nearly 40k followers on Twitter at the time of writing and growing, they’re not going far wrong. Their strategy completely suits the nature of their business. Make quick videos (just use your phone) of satisfied customers you have good relationships with and post to your social channels. Surveys have found that as many as 88% of consumers check online reviews before deciding to utilize a product or service. In addition, an increasing number of people regularly read online reviews before determining whether to do business with them. 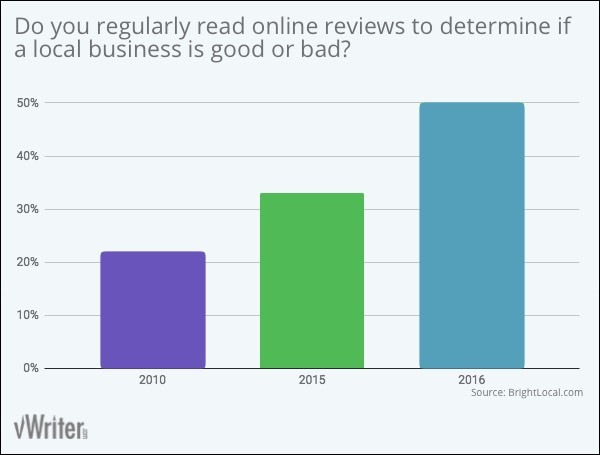 The number of people regularly reading online reviews to determine whether to use a local business has risen steeply. You’ll likely have a good understanding about which review site is most appropriate. This is in effect content that’s being created for you about your local company. Hopefully the vast majority of reviews will be positive – and you’ll be incentivized to ensure every customer’s experience is a good one – but the odd negative review is inevitable. If, in all honesty, it’s a fair criticism, then take steps to ensure the experience isn’t repeated for other customers. Contact the customer involved where possible. Ask how you can resolve the situation for them to their satisfaction. While this should be done simply because it’s the right thing to do, the customer may just update their review to reflect the additional attention and care you’ve provided. It can sometimes also be helpful to post a reply to the negative review, where possible. Apologise to the customer for the issue they’ve experienced, thank them for bringing it to your attention, and outline any steps you’ve taken to prevent it happening again. If it’s a completely unfair, unwarranted, inaccurate or possibly malicious review, contact the website involved to request its removal. The best way to deal with the occasional negative review however is to have as many positive reviews as possible. To achieve this, you need to formulate a strategy to encourage them. 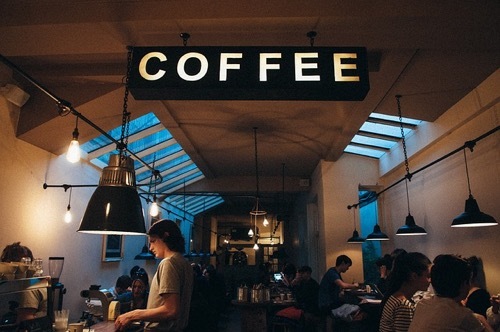 For example, as soon as you receive positive comments from customers, ask if they’d mind leaving a quick review. Most will be only too happy to support your local business. Wondering what content might be relevant to your local market and help endear them to your business? Simple … share your story of how your business got started and how it’s specifically relevant to your local area. For example, many local businesses go back generations. But it doesn’t have to. If it’s a business you personally started, share the path you took. People are fascinated by these kinds of stories. It draws them in and provides an instant sense of connection that will encourage them to purchase from you. Even better, they will willingly relate the story to others. 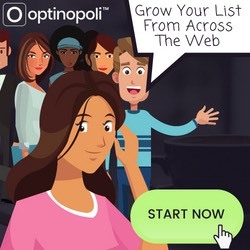 This gives you free word-of-mouth advertising even from people who aren’t yet customers. A rich feature of local businesses is the one-to-one interaction customers get with you and your employees. So who are the people who make up your business? As well as your business’s origin story, customers are fascinated by the back stories of the people in your business. It helps build a real sense of relationship before they even set foot in your business. Your employees are turned into mini-celebrities, and it builds your overall authority. So try running features on individual employees, for example, on your blog and across social media. Their likes and dislikes. What do they absolutely love, and what do they downright detest? Things they like doing in their spare time. The more weird and wacky, the more memorable it becomes and the more effective. Perhaps you have weekend skydivers? How long they’ve lived in the area and/or worked with you. Any interesting highlights in their background they’re willing to share. Try making video shorts of employees too. The more characterful, the better. In addition, encourage your employees to share the content through their own social media channels. This can give your business a huge amount of additional local exposure, and at zero cost. This is particularly pertinent when content marketing for local business. It can make for some powerful content that a local audience can really relate to. As you can see, content marketing is just as relevant – in fact, vital – for a local business as for any other type of business. Perhaps you want to grow your business beyond your local roots, or just become more successful within your community. Either way, content marketing for local business provides you with some powerful opportunities.